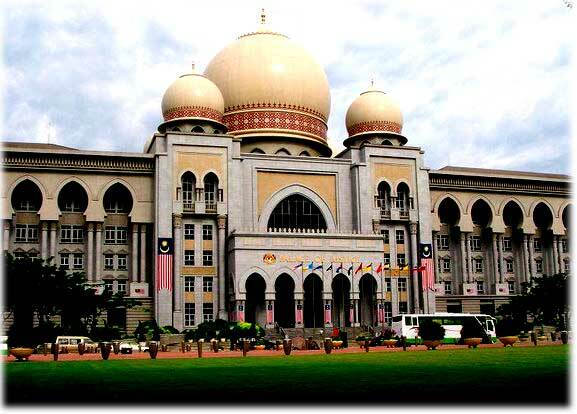 The Palace of Justice has a new “prince” – Zaki Tun Azmi. He was promptly sworn in as Chief Justice (CJ) soon after the Conference of Rulers went through the procedural motions and provided consent to his extraordinary elevation. His Lordship had leap-frogged from the legal profession into the Federal Court last September. Two months later he was proclaimed Court of Appeal (CoA) president. Now (almost a year later) he is proudly perched on the highest post in the judiciary. Zaki’s political “parachuting” has no precedent. But be not perturbed. Did not the PM promise (especially after his party had quickened his passage into the sunset) that he would produce profound changes in the judiciary? Indeed, before he packs his bags and participates fully in Umno's early retirement plan for him, Pak Lak would prove to the whole of Bolehland that he still has the penchant to produce the very opposite of what he initially promises. In April this year, at a Malaysian Bar Council dinner where he paid tribute to former Lord President Salleh Abas and four former Supreme Court judges all of whom were sacked in 1988 by Dr M, Pak Lah had promised the setting up of a Judicial Appointments Commission to help the PM choose judges. About five months later, the PM picked and plucked out an Umno lawyer from the Bar, parked and planted him in the Court of Appeal for a while, so as to place him at the pinnacle of the judiciary at the opportune time! The PM’s preference of the most junior judge in the Federal Court to take the place of the outgoing CJ implied that it was the government’s perception that there were no senior serving Federal Court judges qualified for or worthy of the job. It also implied that the government had practically no confidence in the judiciary... and ironically in itself! What a proud new chapter! 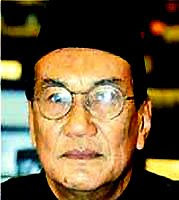 In fact, Pak Lah was writing a whole new book by himself – on how to catapult a lawyer into the CJ’s chair. The PM who had made plenty of pious pronouncements on collaboration, consultation and commitment towards what he had called a “judicial renaissance”, looked very pleased when his controversial candidate received his papers from the King to be crowned the new CJ. At the opening of the 21st LawAsia conference in Kuala Lumpur recently, Pak Lah presented Zaki as "a man who likes reforms" – just like the PM himself – who loves to talk and take the rakyat for a ride on reforms? Activist lawyer Haris Ibrahim (left) who runs the popular The People's Parliament blog had sent two petitions to the King, the latest containing 25,700 signatures urging His Majesty to appoint the seniormost judge of the Federal Court to the position of CJ. 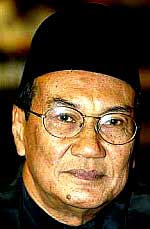 Zaki was a key player in Umno. He was chairman of the party’s election committee, deputy chairman of its disciplinary board of appeal, party legal advisor, etc. 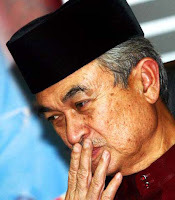 As Umno’s legal man, he was involved with “the party’s myriad scandalous financial misadventures that were bailed out by the government (of Dr M)." 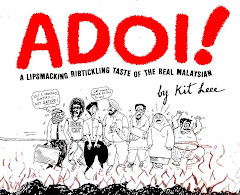 Kim Quek had also questioned Zaki’s “moral integrity arising from his controversial marriage and divorce from his second wife Nor Hayati Yahaya,” who was half his age and whom he married in a ceremony conducted by a kadi from Thailand in a textile shop in Perlis in March 2005. “They separated three months later. In the messy divorce that ensued, it was revealed that Zaki burned the original marriage certificate to hide the marriage from his first wife. Further, the marriage was ruled by the Syarah court as illegal. 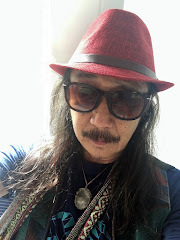 “The question we must ask now is: If Zaki is morally unfit to serve in Umno’s disciplinary board, how could he be considered morally fit to be a federal court judge, not to mention his lightning elevation to the No. 2 position, and anticipated imminent rise to the top job in the judiciary?” Kim Quek quipped. “Is this country so poor in legal talent and integrity that we have no choice but to appoint someone so glaringly unsuited for such an important judicial position arising from his multiple conflicts of interests and questionable integrity?” Kim Quek quizzled. As it turned out, the PM chose to ignore the very pointed issues and pertinent questions that Kim Quek and the public had posed regarding Zaki’s then imminent ascension to the apex court. There were no consultations with the “primary stakeholders” – in spite of Pak Lah’s promise in April. The public pooh-poohed Pak Lah’s preference of Zaki as the new CJ. Lim Kit Siang (left) described it as “the most controversial appointment of the head of the judiciary in the nation’s 51-year history.” Din Merican, an Anwar Ibrahim aide, called it a “retrogressive move” in the PM’s reform agenda. 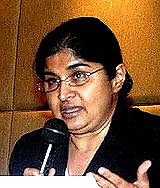 “There had been concerns in relation to Zaki’s political affiliations and business connections (and) these concerns can only be dispelled by him through the conduct of his duties and by a demonstration of independence and impartiality at all times,” Ambiga added amiably. 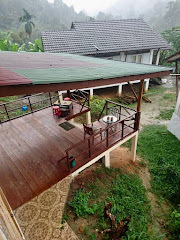 Alas, in Bolehland many things function on the reverse. What had in fact to be proven by the Government was whether Zaki was "worthy" or qualified in every way, to occupy the CJ’s chair. And such proof had to be provided – PRIOR to the appointment, and not after. The search for the "right man" for high office begins with a process of discernment to ascertain, as far as possible, whether he fits the criteria of the job – and this is done prior to making a final decision. Further, the CJ’s Office being a public office, the public has the right to know and critique the proposed candidate. The NST had for its headline on Zaki’s maiden speech at the Palace of Justice: "Zaki shows he means business." Perhaps it would be more accurate if it had been: "Zaki says he means business." 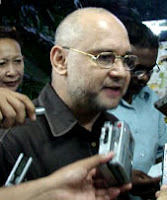 According to The Star, Zaki had “vowed to get tough on errant judges,” whom he said formed a small group and of whom he accused of besmirching the image and reputation of the judiciary. “Such errant judges should consider leaving the judiciary. I will not hesitate to take tough and drastic action against this small group (of judges) if the occasion calls for it. And for those in the practice of toadying (currying favour), I say ‘stop it’,” Zaki added more zing into his warning. Sadly, the tenure of Fairuz was “full of sound and fury, signifying nothing.” It ended as a flop, a farce and a fiasco. 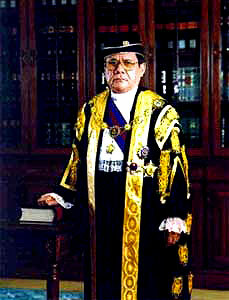 The verdict of the Royal Commission of Inquiry on the Lingam tape scandal reduced his appointment as CJ to a first-class joke. Will Zaki Tun Azmi meet with the same fate? Will our nation be “cox-zakied” (coxsackie is a hand, foot and mouth disease) by a tough-talking Chief Justice? Will we see real, rapid and radical changes in the judiciary or will we be regularly reassured by the CJ’s reiterated rhetoric accompanied by a rudderless leadership? Will the PM stop the Umno warlords from pulling the strings as he plays their puppet, preaching judicial reform but practising the very opposite? Will the judiciary – the very "portal of justice" – continue to be a playground of political expediency where the-powers-that-be persecute their foes by a perversion of the rule of law? Business executives in Asia make no pretence about their worsening perception of Bolehland’s judiciary – as revealed recently by a Hong-Kong based Political and Economic Risks Consultancy. Local lawyers in a Transparency International Malaysia interview shared the same or even greater corroding perception. Genuine change is crucial. Time is not on Pak Lah’s side. What kind of legacy will he leave behind in terms of the judiciary? Will he be remembered for his pretentious resolve for judicial reform or will he be respected as a courageous and committed PM who translated into reality his talk given in April this year: Delivering Justice, Renewing Trust (in the Judiciary)? What legacy? Pak Lah is a failure on ALL counts and honestly it becomes an irritant when he talks. What else can we say of a man who just talks and talks but does something else, and that something is way below the standard. I would just like to correct a common misconception in your article lest it become part of popular history: "at a Malaysian Bar Council dinner where he paid tribute to former Lord President Salleh Abas and four former Supreme Court judges all of whom were sacked in 1988 by Dr M". In 1988, six judges were suspended. They were Tun Salleh, Tan Sri Wan Suleiman, Datuk George Seah, Tan Sri Azmi, Tan Sri Eusoffe and Tan Sri Wan Hamzah. The first three named were later removed from office, while the remaining three were reinstated. However, this error should not detract in any way the forcefulness of your argument. can someone explain this article to me? Anonymous 1 - Totally concur. Hard to feel strong emotions about such a mediocre civil servant but after Dollah succumbed to the silken trappings of power & privilege his complicity with deep corruption & criminality made him an embodiment of what Hannah Arendt aptly described as "the banality of evil." 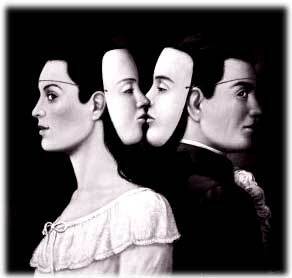 Anonymous 2 - Thank you for straightening & refining the facts of the matter. Anonymous 3 - Hello, Nazri! Welcome to my blog! It's very simple. 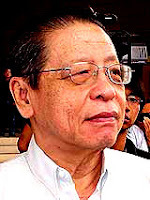 Martin Jalleh and I (and perhaps 20 million thinking Malaysians) are unhappy about Badawi's choice of Zaki Azmi as CJ because he's an ugly, reptilian Umno stooge through and through - and it shows up in his aura, his face, his eyes, and his reek. Trust me on that. Faham tak? And the fact that the Rulers APPROVED this appointment is extremely BAD NEWS - for the rulers as well as the rakyat - because it suggests that self-serving pirate DNA runs stronger than genuine nobility in our royal houses. Zaki Azmi got an F for his first test as CJ when he threw out Munawar Anees's appeal. If ever a man was subject to the cruelest & most unpardonable form of injustice & tyranny, that man was Dr Munawar Anees and he absolutely deserves to be exonerated in open court & fully ccompensated. Zaki cannot serve the interests of justice & Umno at the same time. And even if he quits the party he cannot erase his past. Dr M is no longer an Umno member - but does he smell any sweeter? I hadn't heard of this guy until he became CJ. If he is as bad as he is made out to be I am surprised there was no protest at his appointment by some of the Rulers, especially Raja Azlan Shah who himself had attained the highest legal seat in Malaysia. Chapchai - Has any of the Rulers spoken out on the inhumanity, irrelevancy and utter redundancy of the ISA - especially in view of the recent unjustifiable detentions? Raja Petra is among a handful of friendly, laidback royals who enjoy mingling with "commoners" and behaving like a red-blooded human being - and not just as inscrutable figureheads featured on currency notes and postage stamps. His appointment is an insult to the judiciary in Malaysia. Don't you think we have enough sh*t shoved down our throats? It's not too late, come next GE, people please do an Obama in Malaysia! Let me tell everybody a little story. There were these little colored boys in the American South who challenged the state education dept on the sgregated schools. Mind you the Supreme Court had laid down six times before that separate but equal schools were not unconstitutional. The case ding dong right up to the supreme court. The head of the Supreme Court was a liberal but his decision has always been pracmatic and conservative. He knew that this will split the nation and the SC bench. He need a unanimous decision, he knew also he could not bring all his brethren together on this. Remember in USA the President has the prerogative to choose the SC judges often not on merit or seniority but on political considerations. The new head of the SC agonised as to what to do, untrained as a judge, limited experience in judicial decisions and found himself burdened with such a decision that might bring a second civil war to USA. One day while travelling in the South, he woke up one morning from his hotel and found his colored driver sleeping in the car. The driver told him he could not sleep in the hotel or any motel within the city because of his colored. 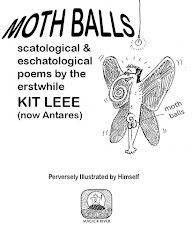 Affected by this, he resolved to persuade his brethren to struck down segration in schools and that was the genesis of a very long march to Obama's presidency. Came by your blog due to link in M2day. It seems to me that we either do a Thailand thingy or we do a Mumbai one. Our leaders do not seem to learn how to govern and it is downright sickening with all the corruption and lack of transparency. I agree with you on Zaki's lack of credibility to be CJ. The guys too entwined in too many directorships and too many scandals...yet he can sit there like a "saint" judging...just like the devil telling us don't tell lies!!!! !